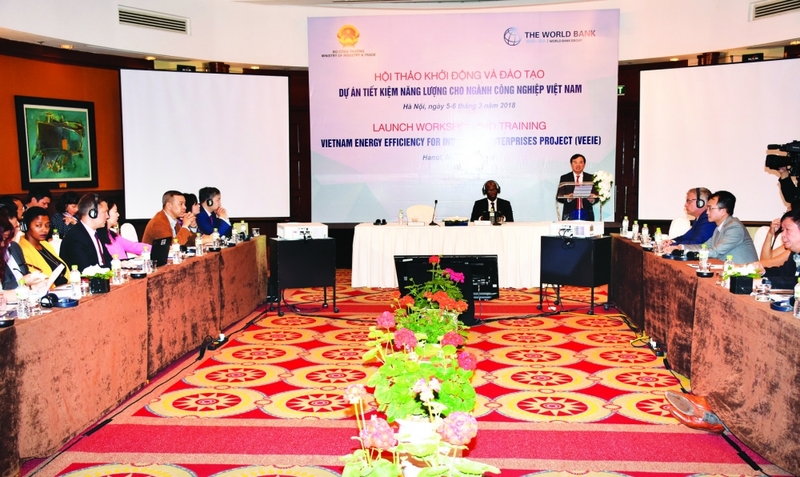 (VEN) - The World Bank and Vietnam’s Ministry of Industry and Trade jointly launched the Vietnam Energy Efficiency for Industrial Enterprises (VEEIE) project on March 5 to support energy-efficient technologies and practices. 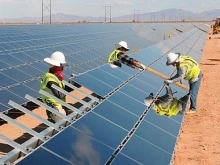 According to the Department of Energy Efficiency and Sustainable Development under the Ministry of Industry and Trade, the national target program on energy efficiency and utilization in the 2011-2015 period cut energy consumption by 5.96 percent, equal to savings of over 11.8 million tonnes of oil. The energy consumption intensity of production industries that used to consume significant energy also dropped in the 2011-2015 period, such as steel (down 8.09 percent), cement (down 6.33 percent) and yarn (down 7.32 percent). In addition, the Ministry of Industry and Trade has certified more than 10,000 products for the energy efficiency label. Deputy Minister of Industry and Trade Hoang Quoc Vuong highlighted the efforts of the Vietnamese government in improving energy efficiency. However, he added, Vietnam is still one of the countries with the highest energy consumption intensity compared to other countries in the region and the world. In the national energy consumption structure, manufacturing industries account for the highest proportion, about 47.3 percent of total energy use. 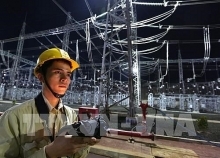 Under adjusted planning, Vietnam’s power industry is expected to meet socioeconomic development objectives with an average yearly GDP growth of seven percent during the 2016-2030 period. Moreover, the National Assembly has adopted a resolution canceling construction of the Ninh Thuan nuclear power plants, lending urgency to the search for energy efficiency to ensure sufficient power supplies for the economy. 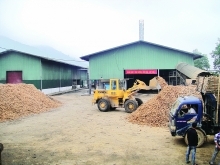 To improve energy efficiency, the Ministry of Industry and Trade and the World Bank established the VEEIE project in late 2017 with a total budget of US$158 million. 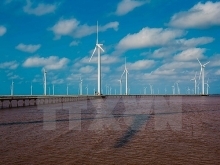 The project will remove barriers and create a favorable and sustainable environment for industrial enterprises to access medium- and long-term capital to implement their energy-saving projects, contributing their efforts to the nation’s goal of saving energy, reducing greenhouse gas emissions and protecting the environment in Vietnam. The Department of Energy Efficiency and Sustainable Development has proposed increased government spending for energy-saving projects in the 2018-2020 period. Local enterprises need to be aware of the role of energy saving and efficiency in production and business activities and invest further in technology and equipment renovation as the benefits of efficient energy management are always higher than investment costs. The costs can also be offset by the returns on investment in a short period, the department said.